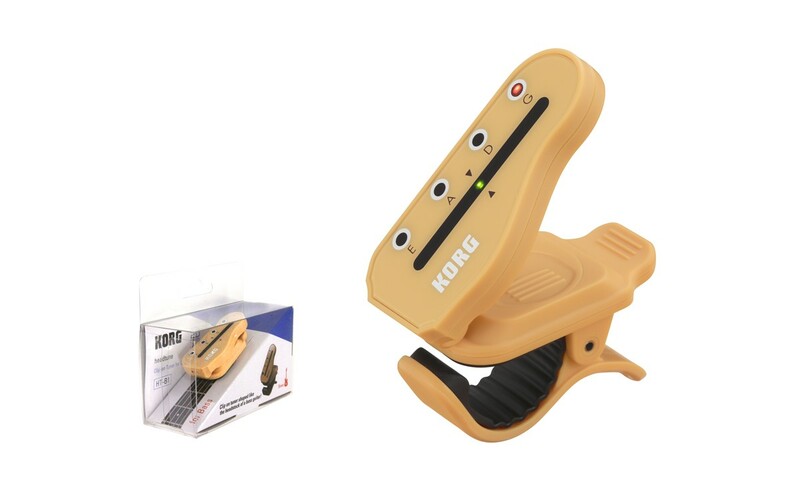 The tuner that’s shaped like a headstock The ideal clip-on guitar/bass/ukulele tuner for beginners. 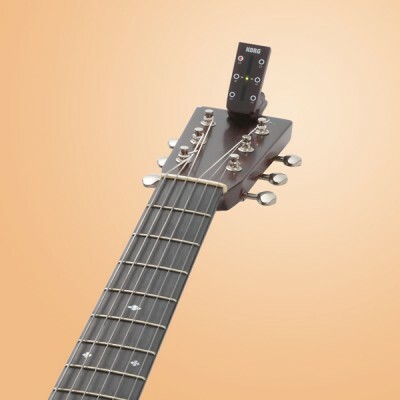 The Headtune is a clip-on tuner with a unique design that’s based on the shape of a guitar, bass, or ukulele headstock. 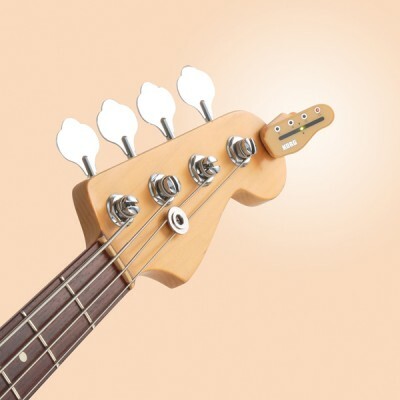 With the Headtune attached to the headstock of your instrument, play a single note on the string that you want to tune. Two indicators will illuminate: the string indicator LED will show the peg position, and the LED meter will indicate the tuning of that note. This makes it obvious which peg needs to be adjusted. You can choose from a lineup consisting of four models: two models that are suitable for standard guitar headstocks, a model for bass, and a model for ukulele. 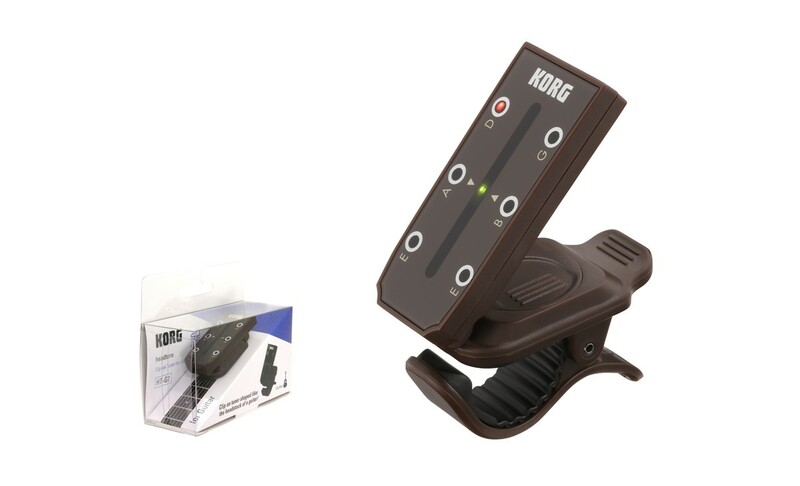 With the innovation and precision you expect from Korg, the Headtune makes tuning easy! 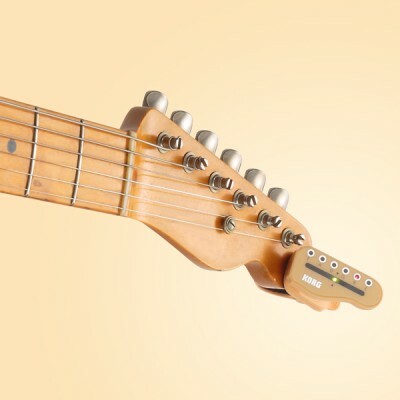 The Headtune is designed with a shape that matches the headstock of typical guitars, basses, and ukuleles. 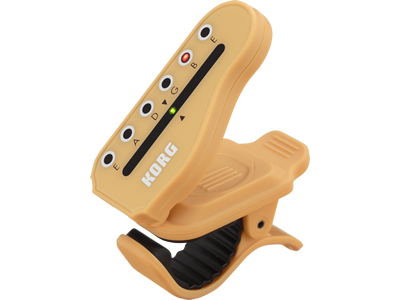 When you play a single note, the built-in piezo pickup will instantly detect the pitch of the vibrating string. Two types of LEDs will light up: a string indicator LED, to indicate the peg location, and an LED meter to indicate the pitch. This makes it obvious which peg you should adjust and how it should be adjusted. Since you can tune your instrument even if you don&apos;t remember the note names of each open string, this makes using the Headtune especially easy for beginners*. The HT-U1 is the ukulele model, which also detects "Low-G tuning" with the "G" (fourth string) tuned one octave down, supporting solo performances that cover a wide pitch range. *To check the note name, please refer to the alphabetical character located beside the string indicator LED. The Headtune features an extremely compact and lightweight body that easily fits into the pocket of your guitar case for effortless transportation. You can adjust the angle by raising the meter display section to a maximum of 120 degrees. The string indicator LEDs and LED meters provide high contrast and a wide viewing angle, ensuring easy visibility for the player even in dimly lit locations, and allowing you to tune from a natural position. 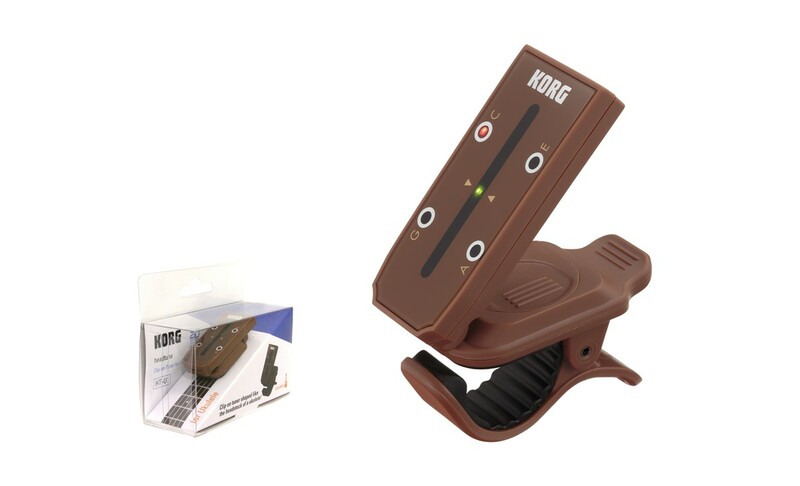 The Headtune features the same highly stable clip as used on Korg&apos;s clip-on pitchclip tuner. 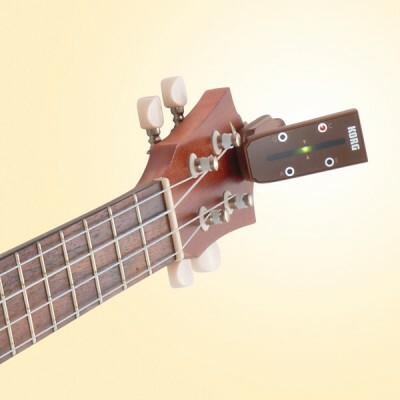 It will securely attach to the headstock of your guitar, bass, or ukulele. Using a widely-available lithium coin battery (CR2032) provides the Headtune with a generous 35 hours of usage. The Auto Power-Off function automatically turns the Headtune off when no sound has been detected for approximately ten minutes, avoiding unnecessary battery consumption.